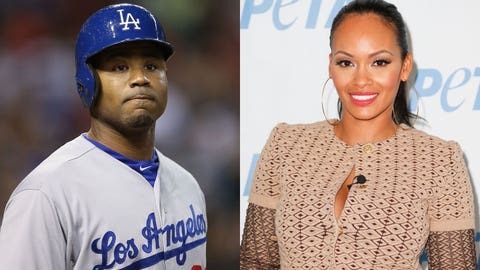 From an almost-basketball wife to a football wife and now a baseball wife, Evelyn Lozada certainly has covered her bases. The reality show star got engaged to Dodgers outfielder Carl Crawford over the holidays, according to People. Lozada recently revealed that she and Crawford are expecting their first child, and she also said she wouldn’t be opposed to getting married again. It seems that Crawford got the hint and popped the question with a 14.5-carat diamond ring on Christmas Day. As Crawford’s personal life seems to be settling down, his professional life is up in the air. He has been the subject of trade rumors during the offseason, since the Dodgers are heavy on outfielders.